Providing you the best range of mini bench center and mini bench centre granite base with effective & timely delivery. 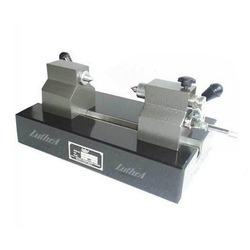 Luthra Mini Bench Centre with Cast Iron Base is specially designed for checking concentrically, parallelism and true rotations of components having smaller dimensions. Mini Bench Centre Granite Base is made of black granite base which is naturally seasoned and provide better finish and accuracy. 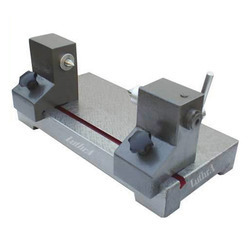 T-slot made of steel is fixed within granite base on which two cast iron heads are mounted, both the heads can be moved to the desired positions depending upon the size of the component to be checked. Looking for Mini Bench Centre ?